New diving and snorkelling sites will be accessible on the Great Barrier Reef with the launch of Passions III in Cairns tomorrow (April 4). 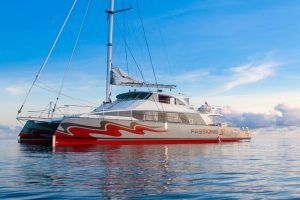 Passions of Paradise has unveiled its 25m reef vessel which was designed and built over three years to be one of the fastest commercial sailing catamarans in Australia. 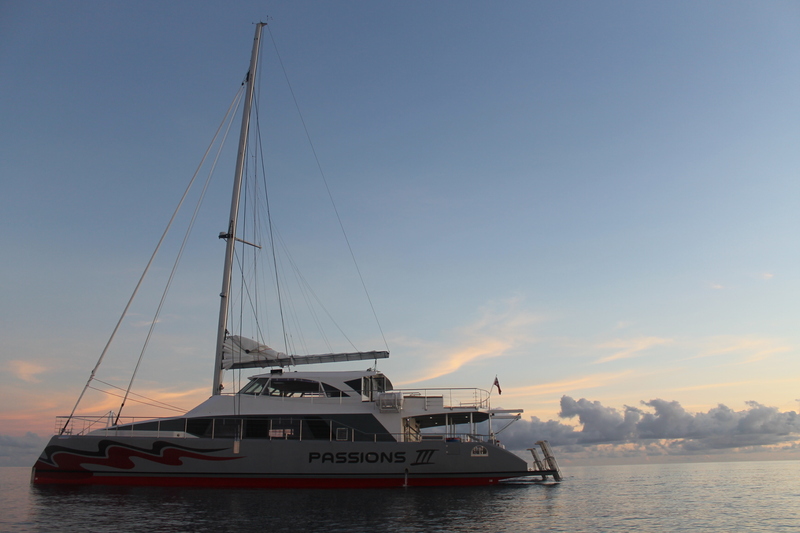 Chief Executive Officer Scotty Garden said Passions III would cruise at 15 knots, with a maximum speed of 19 knots allowing it to access two of the Cairns company’s 25 outer Great Barrier Reef moorings on a day trip. “We have added a 30-metre mast so Passions III will have one of the largest sailing rigs in Australia to take advantage of Tropical North Queensland’s prevailing south-easterly winds. “Our carbon-neutral company takes great pride in sailing back to Cairns from the Great Barrier Reef and with the faster catamaran we can choose the best sites for the weather conditions on the day. “As a locally owned company we have been able to draw on our 30 years of Great Barrier Reef and tourism experience to design an environmentally-friendly catamaran that suits both our market and our reef conditions. “Passions III has a second deck, two large spaces for sun lounging and a modern luxurious interior with a larger galley and bar and plenty of room for 100 passengers to comfortably move around. “The purpose-built boat will allow Passions of Paradise to tailor each day on the Great Barrier Reef to the wind conditions ensuring a comfortable trip with ideal dive and snorkelling locations. A revamped Passions of Paradise logo, website and new uniforms also will be launched with Passions III giving the company a new look for 2017. 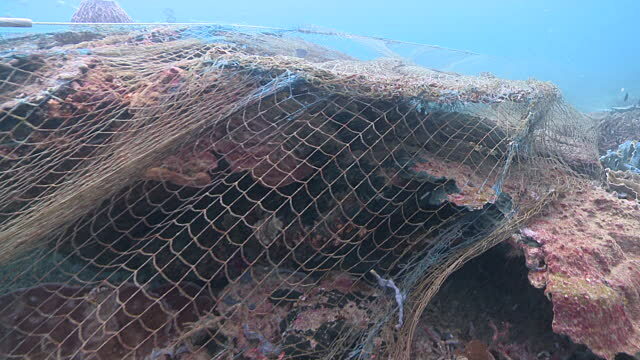 “What hasn’t changed is the friendly customer focus and the fun and educational, personalised experience on the Great Barrier Reef that Passions of Paradise is renowned for,” Mr Garden said.